يقع في أدينغتون, Arena Motel إنه المكان الأنسب لاكتشاف كرايستشرش و ما يحيطها. يمكن من هنا للضيوف الاستمتاع بسهولة الوصول إلى كل ما تقدمه هذه المدينة النابضة بالحياة. سوف يعشق النزلاء موقع هذا الفندق، فهو قريب من أهم المعالم السياحية في المدينة كمثل AMI Stadium Christchurch, The Court Theatre, Addington Raceway . كما يقدم Arena Motel الكثير من الخدمات لإغناء رحلتك في كرايستشرش. إن مرافق مخصصة لذوي الاحتياجات الخاصة, واي فاي في المناطق العامة, صف السيارات, خدمة انتقالات هي جزء فقط من الخدمات التي تميز Arena Motel عن باقي الفنادق في المدينة. استمتع بوسائل الراحة الراقية في الغرف أثناء إقامتك هنا. بعض الغرف تتضمن اتصال لاسلكي بالإنترنت, حوض الاسترخاء, غرف لغير المدخنين, مكيف هواء, تدفئة لمساعدتك على استعادة طاقتك بعد يوم طويل. كما أن مجموعة الخدمات الواسعة الموجودة في الفندق لضمان راحتك تترك لك الكثير من الخيارات لقضاء وقتك أثناء فترة إقامتك. مهما كانت أسبابك لزيارة كرايستشرش، فإن Arena Motel هو الخيار الأفضل لإقامة مثيرة وممتعة. Very near to train station and westfield shopping centre. Nice cosy motel too. Location to Railway Station, Comfortable rooms, Friendly Helpful Staff. We arrived after midnight on a late plane, the staff said they would wait for us and advised us to book the airport shuttle which would deliver us to their door, on the night of arrival there was very heavy rain and we arrived comfortably thanks to their advice. We were shuttled by the Motel to the train station for the TranzAlpine. There was free WiFi at the Motel and the staff were very friendly and helpful. We enjoyed our stay at the Arena Motel it was very comfortable and had everything we needed including free WiFi. Our room had a bedroom, a TV/living area a kitchen with fridge etc and a bathroom/toilet. it was situated a short bus ride or a long walk from central Christchurch but very close to the main railway station. We stayed at Arena Motel in Addington on two separate occasions and each time we left Christchurch was by train ( "the Tranzalpine" and "the Coastal Pacific" and the Arena Motel shuttled us to the Railway Station each time. The staff were extremely helpful and friendly. The motel has many restaurants nearby I would recommend Speights Tavern in the shopping area near the railway station. There are many other eateries on Lincoln St.
We arrived in the wee hours, so arrangements had been made to access our room, and some milk was left in the refrigerator. Shuttle to the train station was available at 0730, plenty of time for the 0815 departure. Good thing, as it was raining. Very friendly and helpful staff, good e-mail communcation. Nice basic accommodations; not fancy. Very clean. Our room had a kitchenette, tea, coffee. Carrying bags upstairs or te best. Plain simple and passable. Spacious and clean rooms. Free transport to Tranzalpine Train station which is good considering how hard it is to get a cab in Christchurch. We reached Christchurch with the last domestic flight from Auckland that day. It was around 10pm but the manager still waiting for us. She is very kind and the next morning, she sent us to the train station as early as 7.30am as requested by us. The rooms are very basic but suit our needs. It is big and spacious for the group with young children. We should stay there when return to Christchurch. Owner Jessica is friendly and is always around if you need anything. The room was clean and spacious. The bed is comfortable and there is a kitchenette if you need to prepare your own meals. Pick up from train station is free and there are restaurants nearby. Great place to stay. Very well maintained chalets with everything you need. Very helpful owners who do anything they can for you. Took us to the train station at 7..30am in free shuttle bus. How lovely is that! Fresh milk provided. Near to a load of shops and restaurants within walking distance. Would definitely stay here again. Thank you. We stayed here two separate times on our trip around New Zealand. We initially chose it for its proximity to the train station, only to be thwarted by the trains not running due to the earthquake, a landslide, and a brush fire!! Nevertheless, we enjoyed our time there. Jessica is very accomodating and friendy, and the room was comfortable and well equipped for light cooking. It is also very well located to Lincoln Road, where there were many restaurants to choose from. There is a small bakery and grocery store in the shopping center by the railway station, which is just a few minutes walk. I would highly recommend a stay here. If leaving here for the airport, if you have some hours to spend, check out the International Antarctic Center by the airport. They have a shuttle from the city and storage lockers onsite, and afterwards, you can cross the street and walk to the airport. We stayed here three times during our 4 week trip to New Zealand recently. We could not fault the service and attention to detail of the owner. 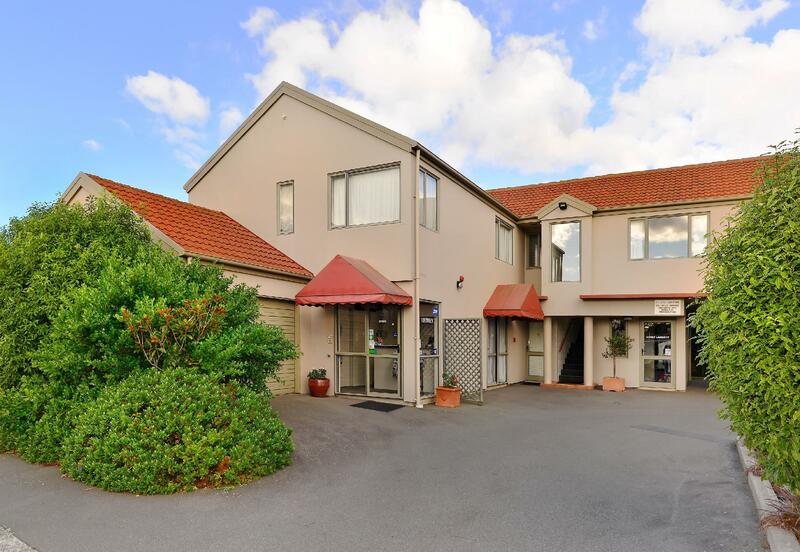 The motel is located very conveniently for the Tranz Alpine railway station and the free transfer to the station is much appreciated. We also left a suitcase whilst we travelled to North Island, which helped us considerably. The motel is located close to Horncastle Arena, so very convenient for any events taking place there. We stayed in 3 different apartments and each one was spotless. Highly recommended. We recently arrived from Melbourne to Christchurch on a flight arriving at midnight. The host at the Arena Motel waited up for us on a very cold night in Christchurch greeting us warmly. The room was warmed up for us and arrangements were made for us to rise early in order to catch the Tranzalpine train. Our host was waiting for us in the morning and happily shuttled us to the railway station which was fantastic. We thoroughly recommend the Arena Motel in Christchurch especially for those taking the Tranzalpine train. We are very appreciative travellers. The stay is great. Not to mentioned that the staff is so friendly that they pick us up from the train station and then to the train station again when we check out! Recommend if you are taking trains. Swift check in by very courteous staff set us up for a good stay here. 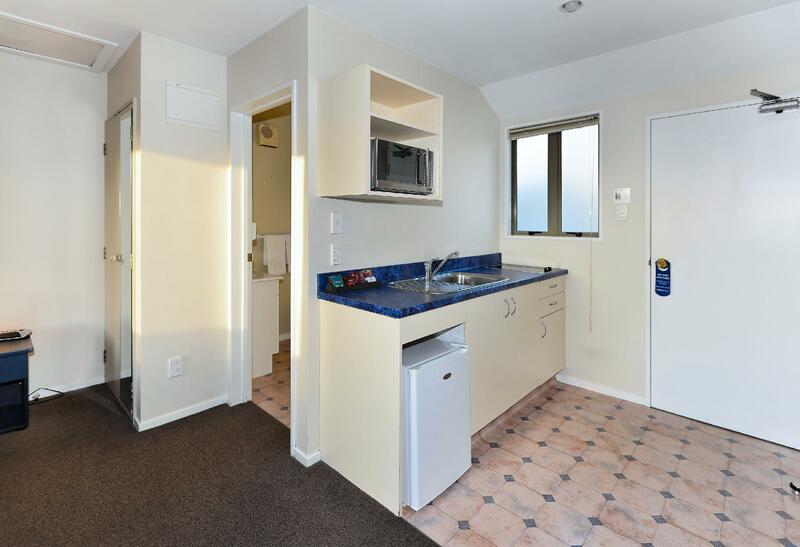 Rooms were of good size with well equipped kitchen. The staff allowed us to store our bicycles in their garage which was a nice touch. 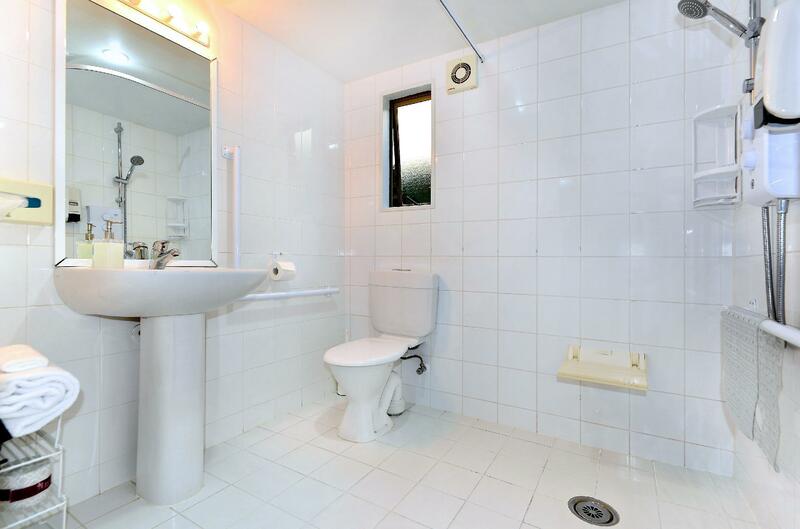 Impeccable location close to the train station. free shuttle to the railway station for taking tranz alpine plus close proximity to the station is the main reason why we chose this hotel. we met other tourists when waiting for the super shuttle at christchurch airport and turns out they are heading to the same hotel for the same reason. I really like staying in this hotel, the staff was really good. I turned my ankle, and she was so nice to offered ice to compress it. Also she upgraded one of the room that we booked because we requested the first floor. The location is perfect, quite and near main road. Our flight was delayed until the early hours but someone waited up for us and ensured our room was nice and toasty. The room was large, clean and had far more amenities than we were expecting. It was more like a small flat than a hotel room. The staff were amazing, full of great local information and always on hand to help if need be. The motel is a couple of kilometres from town but its a nice walk or there are numerous buses that will take you there. 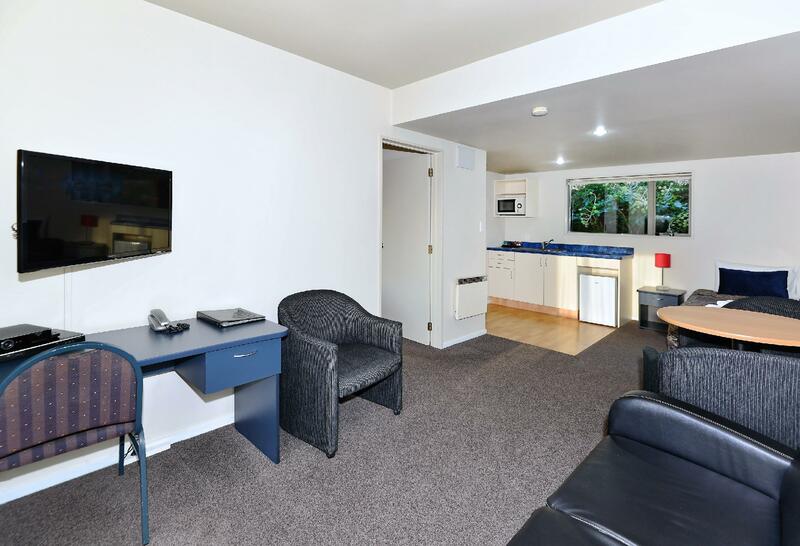 Cosy.Walking distance to Christchurch Tranzalpine Station. Good restuarants around the vicinity. Very friendly staff. Free Wi-fi internet access (a big plus here). Went back to stay again on our last night in New Zealand.Definitely a good place to stay. 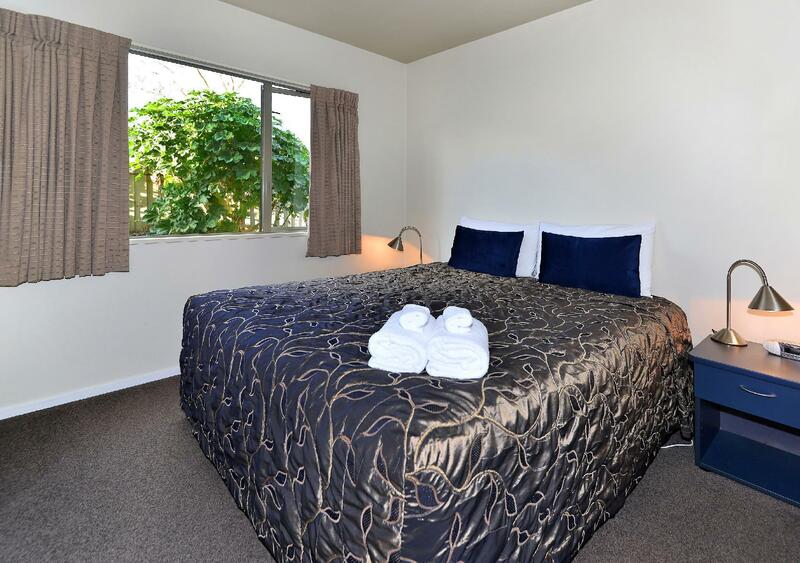 Arena Motel is best located for railway trips (eg TranzAlpine) and for sightseeing in Christchurch. Friendly and supportive hosts provide pickup and dropoff to railway station as well as nice and well-equipped rooms. WiFi is fast and without charges. Recommendations for dinner are superb: Mosaic by Simo's is a Maroccan food sensation.